Biosimilars represent an innovative solution that can benefit both patients and healthcare systems by reducing the burden of rising treatment costs. To improve the availability, price, and access of medicines, many countries are implementing strategies to establish their own production capacity. To support such development, MAbxience (a Spanish biotechnology company specialized in research, development, and manufacture of biosimilar drugs) is committed to provide the manufacturing of high-quality products and processes that meet regulatory and technical requirements in all countries where it operates, using cutting edge single-use technology. Currently, MAbxience has sales contracts in more than 70 countries. One of the biosimilar specialties present in MAbxience pipeline constitutes an Fc-fusion protein, with a molecular weight of Mr 150,000 and an isoelectric point of <5, for which a first-generation process was established by a third-party contract manufacturing organization (CMO). The molecule exhibits monoclonal antibody (MAb) behavior, but with a challenging glycosylation profile and complex tertiary and quaternary structures. Consequently, low product recovery and purity were obtained in the first-generation purification process. In addition, the purification protocols were poorly suited for manufacturing scale. With the aim of improving the first-generation process to reach the manufacturability and purity required to produce material for phase 1 clinical trials, MAbxience contacted GE Healthcare’s Fast Trak Services team to initiate a collaborative project. 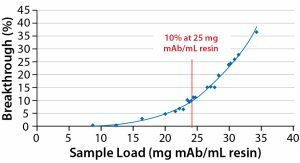 This case study demonstrates the optimization of the downstream purification process to improve product purity and recovery of the biosimilar Fc-fusion protein. The optimization work was conducted by Fast Trak scientists. 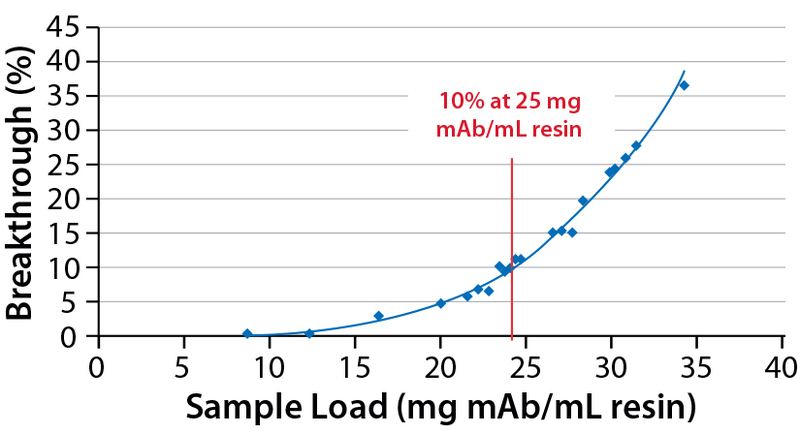 Process optimization focused on improving the affinity chromatography (AF) capture step as well as the intermediate purification and polishing steps — using hydrophobic-interaction chromatography (HIC) and anion-exchange chromatography (AIEX), respectively — keeping the same process materials. In addition, a purification scheme more suitable for manufacturing scale was to be established.